Christian athlete Jeremy Lin said he would like his legacy to be someone who "lived for God" and was "faithful" despite facing a series of challenges throughout his life and basketball career. 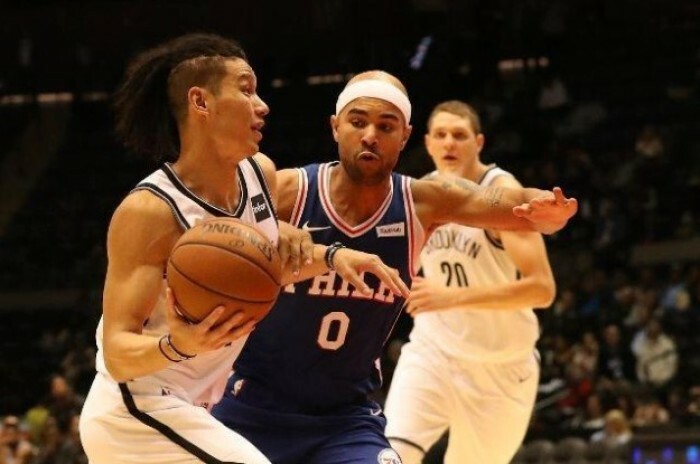 "My legacy with the world would be, I would want them to know that I lived for God, I was faithful in my life," the 29-year-old Brooklyn Nets point guard told David Meltzer of Sports 1 Marketing. "I wasn't perfect, but I always did my best and I tried to fix and right my wrongs and just do things the right way." The Harvard graduate, whose 2017-18 NBA season ended prematurely due to a torn patellar tendon in his right knee, said "faith in God's divine plan" is what keeps him going amid uncertainty. "I remember when I made it to the NBA ... I physically wrote down a list one day, and I was like 'if any of these one things didn't happen, I wouldn't be here today,'" he said. "It was a long list of 13-15 things, and I made sure everything on that list was out of my control ... I need to not take credit for outside things." With his injury, Lin said he's taking on the perspective that he's living in "God's favor," adding that when most people think of his career, they immediately remember Linsanity due to his early on court accomplishments. In reality, the athlete admitted "most" of his NBA career has been "90-95 percent downs and very few ups." While the "ups" were "really, really up," Lin said he's endured struggles that most people don't see. "There is a lot of continually delving into God's promises that there is a perfect plan, that I need to continue to be faithful and worry about what I can control," he said. "I do feel like I'm in God's favor. My older brother said it best: 'When I look at your story, there's God's fingerprints all over it.'" As far as bridging the gap between the United States and China, Lin said he's "very cognizant" of the power of his brand. "That's like my off-the-court job, is figuring out this platform and how to do it right and create a positive impact," he said, adding that he acknowledges he's in a "unique situation." "There's many things that I'm able to do," he said. "We talk a lot about how to make it right, what vision, what brand, what path we want to take, and it's been enlightening ... this is baptism by fire figuring it out ... we spent a lot of it thinking about China and how we can help." Pondering his future, Lin said he'd spend his life playing basketball if his body would "hold up," but admitted "there isn't too much" after the age of 32 for NBA athletes. "I have developed other passions, but my first true love has always been basketball," he said. "As I get older, there are more and more responsibilities I have to take care of off the court, and I understand basketball is a gateway to so many opportunities and to not take advantage of those would be foolish. At the same time, it's a balance to make sure it never impacts my training." He added, "The average NBA career is 4 ½ years, and I'm going into my 9th next year. I've got to be thankful, and I'm more and more thankful because I see the end coming faster and faster." Lin said that throughout his career, he has surrounded himself with talented and knowledgeable people who continually challenge and inspire him. "The very first obvious thing I look for is loyalty," he said. "I'm looking for loyal in terms of, cares more about my career than their career, because otherwise at some point, you're going to come to a juncture where you're going to have to choose one." "I enjoy having people around me who can challenge me," he continued. "That's really important for me is getting people around me who have different perspectives ... I'm okay with conflict, I'm okay with challenge, and I think that's what life is about. You have tough conversations, you work it out, and through that pain ... you get better."